The most original ideas emerge when looking at ordinary objects with fresh eyes. The Foscarini Caboche, for example, came when considering a pearl bracelet. An idea by Patricia Urquiola and Eliana Gerotto, that has became a prestigious – or better said – wonderful and modular lamp. A gem of creativity, but also of technology. With a single spherical element and a modular, arch-like structure, it is possible to create a whole collection of models in a crystal or gold-yellow design. 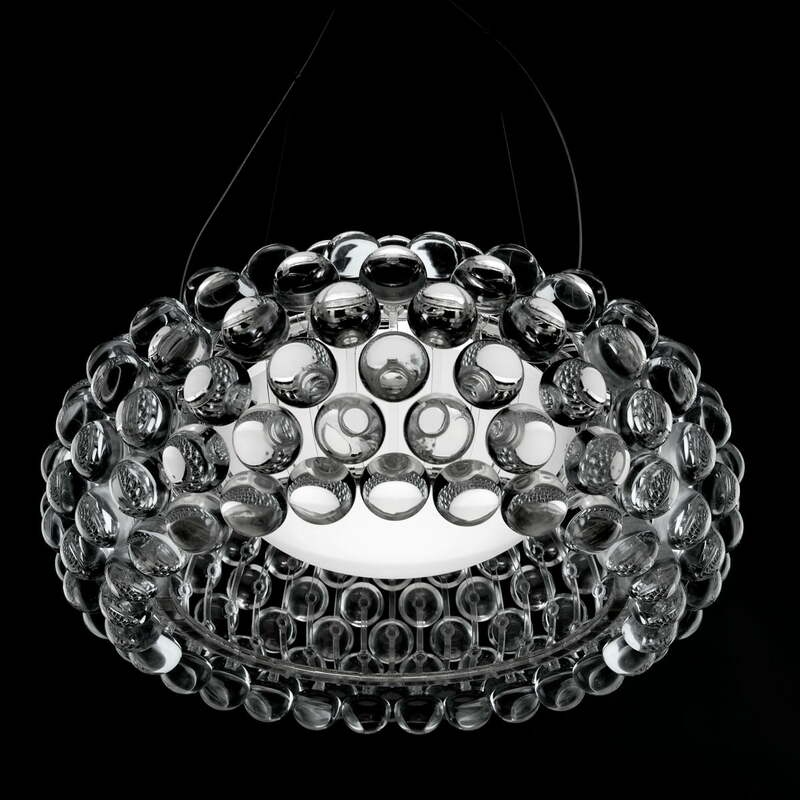 If the Foscarini Caboche is switched on, the light penetrates from the inside into the free spaces between the transparent spheres and, at the same time, is spread from within, like many luminous crystals. Are they diamonds? No, this is Plexiglas. The structure and the spheres transform Patricia's and Eliana's original idea in a pure form of light, which looks different depending on the angle it is seen from. Each sphere is exposed to the light in a variety of ways and reproduces it in the most original way, so that it itself becomes the light source. It took a lot of work implementing this effect into an LED version. 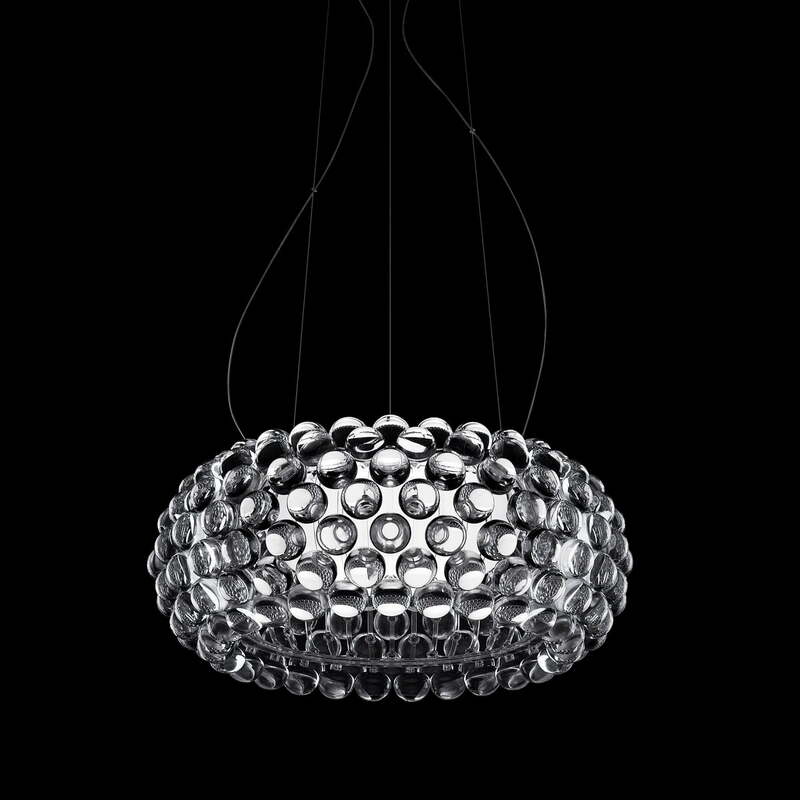 But as usual, Foscarini did not let us down: an integrated chip guarantees the same intensity, diffusion and light temperature as the original to create the same emotional effect. 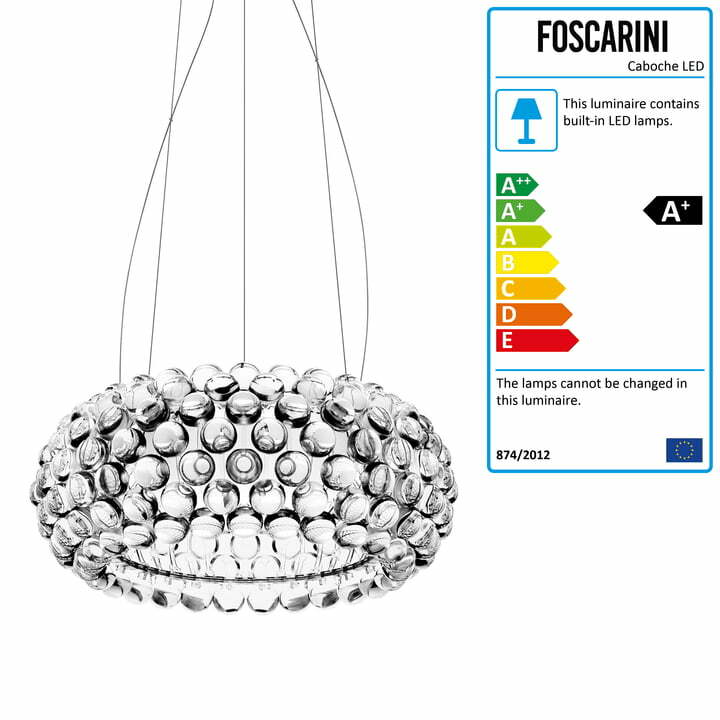 However, the Foscarini Caboche LED is more economical and efficient and the light source is more durable than the original. 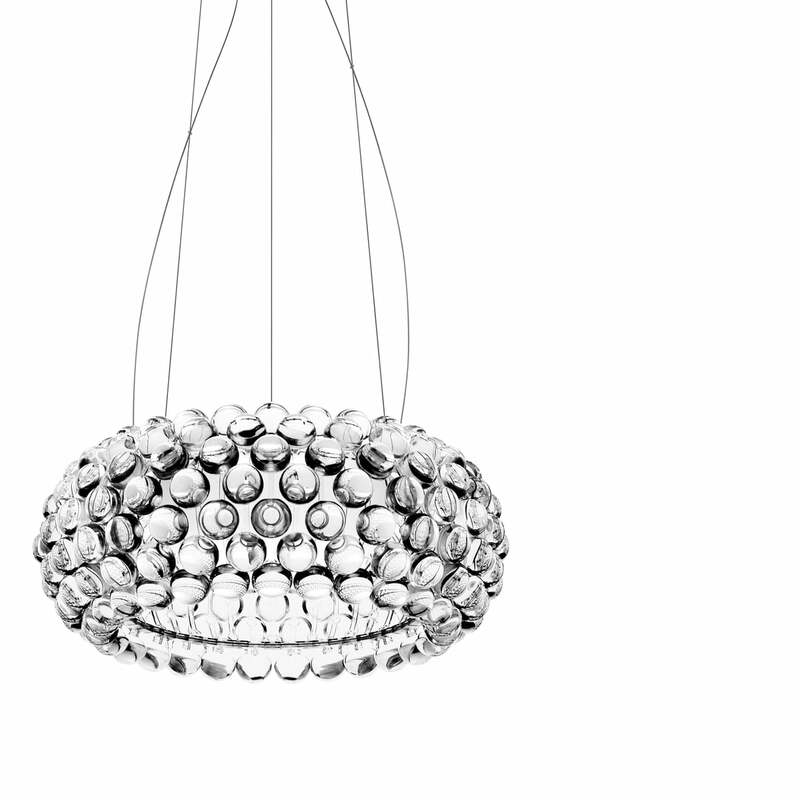 The Caboche collection from Foscarini includes four different lamps. 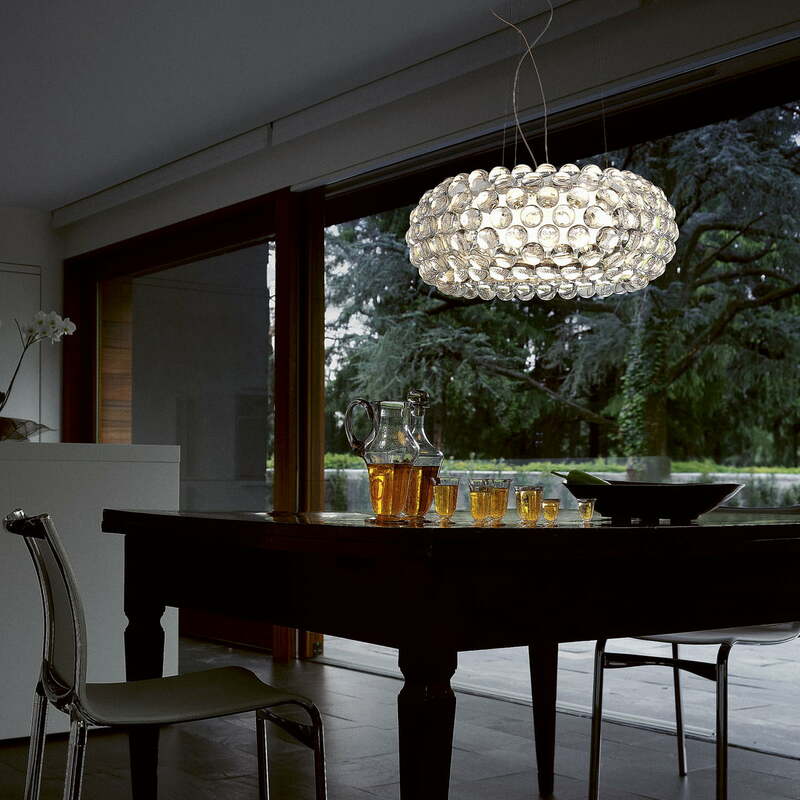 The pendant lamp, as well as the wall and ceiling lamp and the table and floor lamp are all available in different sizes and colours. 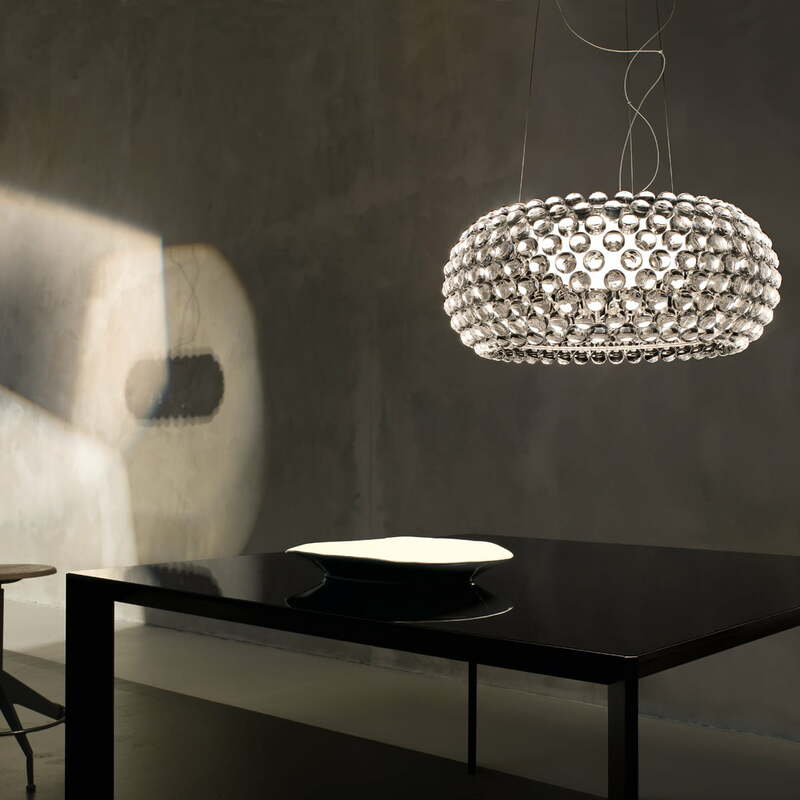 Foscarini's Caboche pendant lamps are available in three different sizes, in golden-yellow or transparent editions as well as with different cable lengths. Note: The LED bulbs can not be replaced.